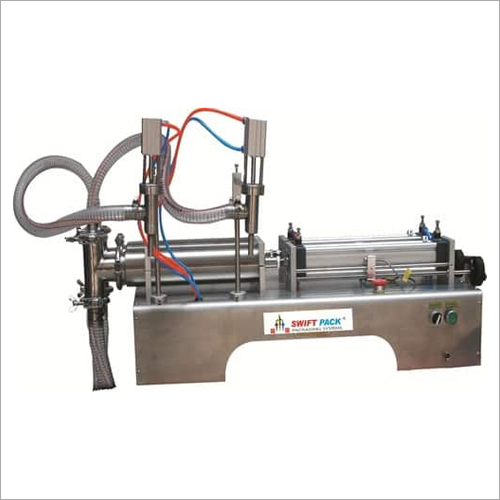 Serving our clients for years, with products of impeccable quality, Shri Vinayak Packaging Machine Pvt. Ltd presents it's newly manufactured Double Head Liquid Filling Machine. Fabricated with the help of latest technology, these machines are designed for efficient delivery of automatic operations, which also includes the packaging of viscous and non-viscous products. With a team of proficient engineers, we have a certain proclivity for maintaining high quality standards, this machine is constructed using stainless steel 304/316 with standards maintained as per GMP. To ensure safety, efficiency and convenience for our customers, we ensure quality checks at every stage of production.